Pat Conely, who lives in Brighton Marina, was honoured this week , for her outstanding contribution to the NHS Blood Donor service. For over forty years Pat has been a regular blood donor. 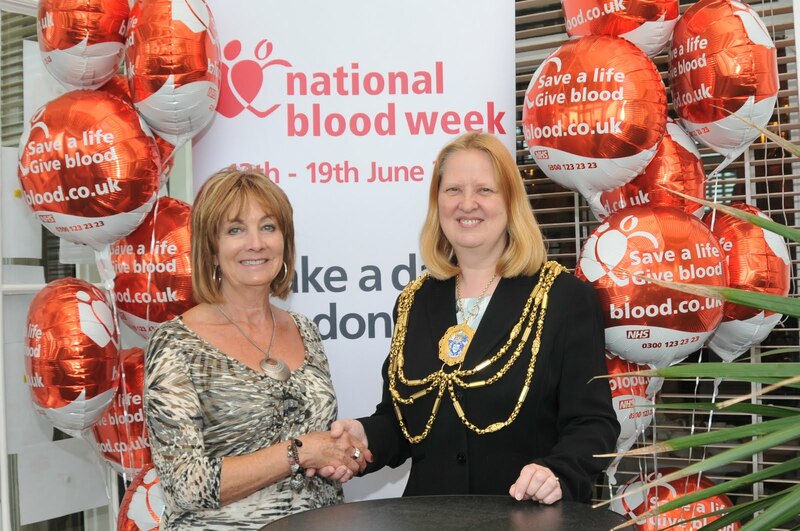 To show appreciation for her very special service over the years, and to mark her donation of 100 pints of blood, she was presented with a crystal decanter. Good for her! I’m 43 and have only just started giving blood, and wished that I’d started years ago; it’s a great thing to do, and gives you a nice warm feeling that you’re helping other people. And once you’ve finished giving blood, you get offered tea and biscuits too!